8 X 10 Photo frame of Roberto Luongo – Team Canada at the 2010 Vancouver Winter Olympics. Plate reads: “Roberto Luongo – 2010 Team Canada Olympic Gold”. Authentic 2010 Vancouver Winter Olympics Team Canada pin attached. Please contact for pricing. 8 X 10 Photo frame of Alexander “The Great” Ovechkin – Washington Capitals. Plate reads: “Alexander Ovechkin – Washington Capitals’. Authentic NHLPA “Ovechkin” Washington Capitals team jersey pin attached. Please contact for pricing. 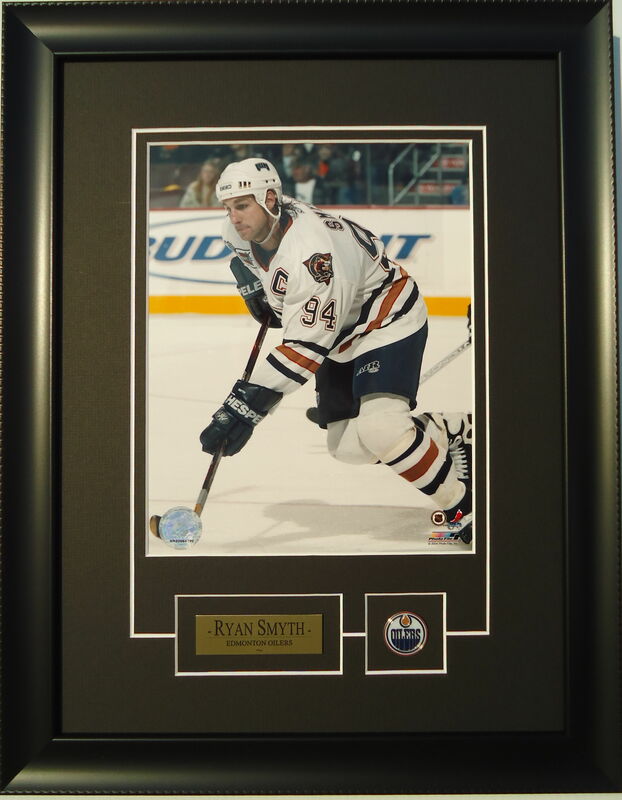 8 X 10 Photo frame of Ryan Smyth – Edmonton Oilers. The “heart-and-soul” of the Oilers led the team to the 2006 Stanley Cup Finals. Also known as “Captain Canada” at International Hockey Championships, Smyth won gold with Team Canada at the 2002 Winter Olympics. Plate reads: Ryan Smyth – Edmonton Oilers”. Authentic Edmonton Oilers team logo pin attached. Please contact for pricing. 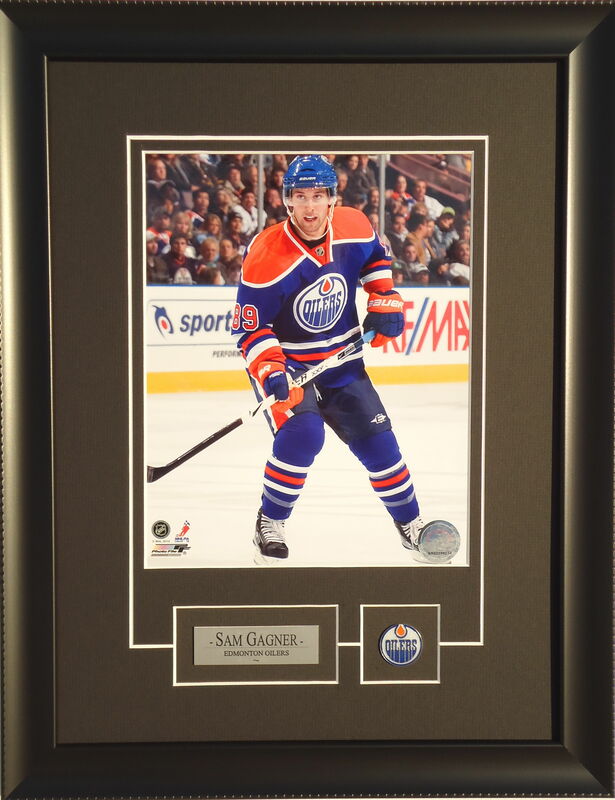 8 X 10 Photo frame of Sam Gagner – Edmonton Oilers. Plate reads: “Sam Gagner – Edmonton Oilers”. Authentic Edmonton Oilers team pin attached. Please contact for pricing. 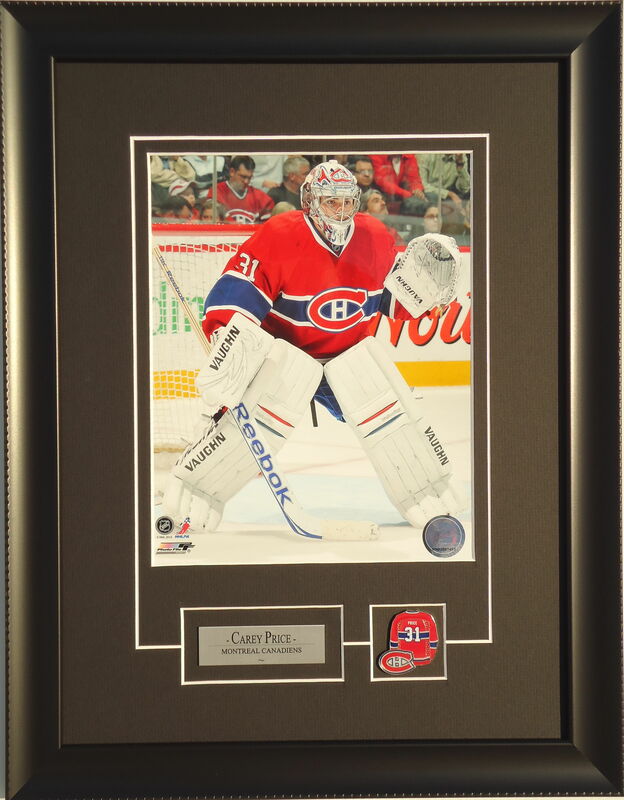 8 X 10 Photo frame of Carey Price – Montréal Canadiens. Plate reads: “Carey Price – Montreal Canadiens”. Authentic NHLPA “Price” Montréal Canadiens jersey pin attached. Please contact for pricing. 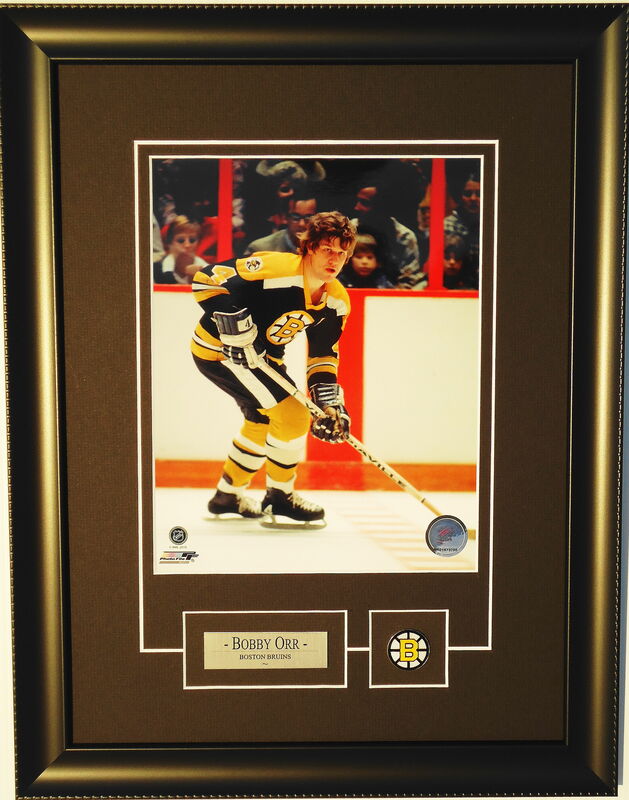 8 X 10 Photo frame of Bobby Orr – Boston Bruins. Inducted into the Hockey Hall of Fame in 1979, #4 Bobby Orr is widely acknowledged as one of the greatest hockey players of all time. He currently holds the record for most assists (102) and points (139) in one season by a defenceman. Plate reads: “Bobby Orr – Boston Bruins”. Authentic Boston Bruins Vintage team logo pin attached. Please contact for pricing. 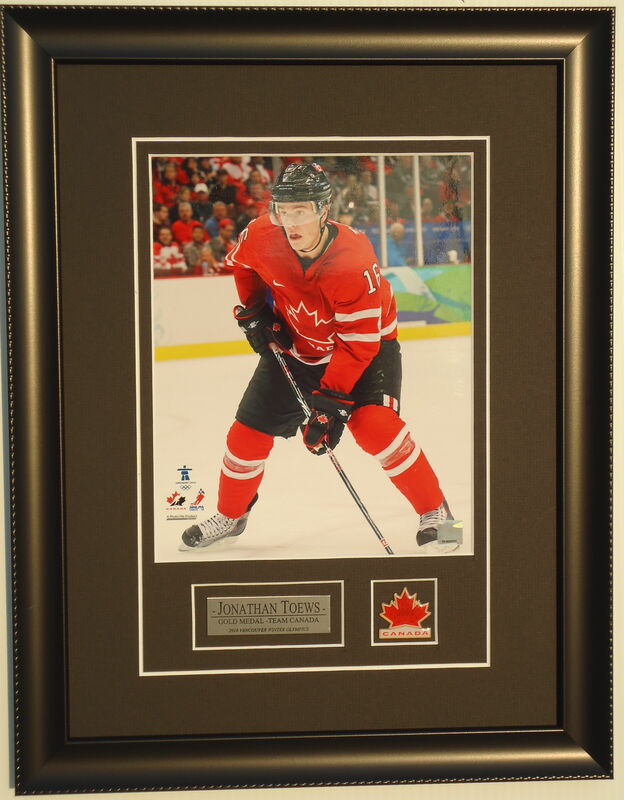 8 X 10 Photo frame of Jonathan Toews – Team Canada at the 2010 Vancouver Winter Olympics. Plate reads: “Jonathan Toews – Gold Medal – Team Canada – 2010 Vancouver Winter Olympics. Authentic 2010 Vancouver Winter Olympics Team Canada pin attached. Please contact for pricing.